Caption slip reads: "Photographer: Brunk. Date: 1953-07-22. Reporter: T.T. Assignment: Abortion arrest. 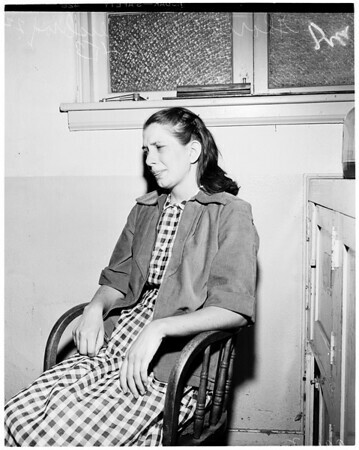 27-28: Gloria June Weisbrod, 22, suspected of fatal illegal operation on her cousin, shown in Compton Jail."